Tickets for one of the best events in clubbing finally went on sale yesterday as clubbers from around the world finally got the chance to buy their tickets for the Space Ibiza Opening Fiesta. Heralded as the event that reawakens Ibiza from its long winter slumber, every year Space has the challenge of trying to surpass the previous year’s opening party and, as always, the club should rise to that challenge. As soon as the doors open at 4.30pm, clubbers can expect a line up of super star DJs, top-notch production and a plethora of famous faces and celebrities thrown into the mix too. Get them now and get them HERE. Meanwhile, over in Mallorca, Space Ibiza has hooked up with event organisers Club25 and its White Passion Festival, for possibly the first of many open-air events planned across the island throughout the summer months. 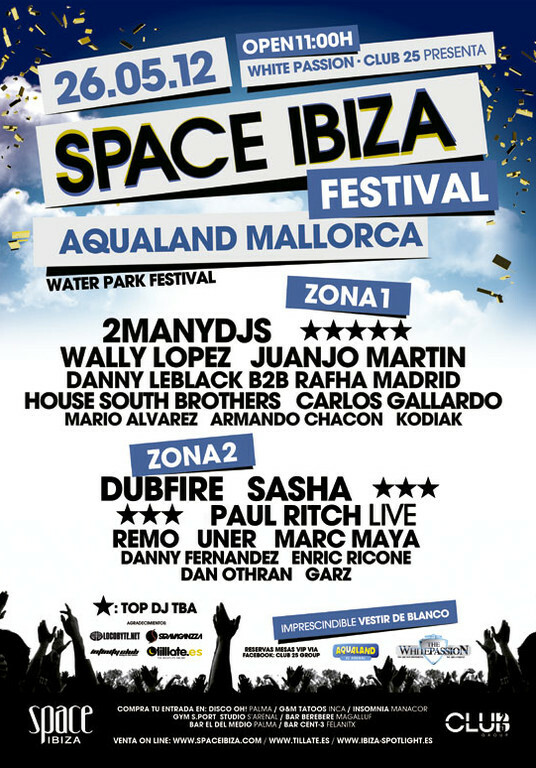 Upping the ante for followers of electronic music, Space Ibiza takes the short hop over to Mallorca on Saturday 26th May, destination Aqualand, the island’s premier water park. 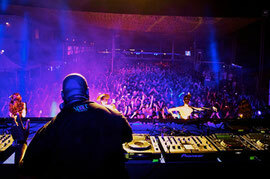 The club’s production team will be transforming the park’s many arenas into the Space Ibiza Festival, creating two specific music zones and hosting DJs such as 2manydjs, Wally López, Juanjo Martin, Danny Leblack b2b Rafha Madrid, South House Brothers, Kodiak, Carlos Gallardo, Mario Álvarez y Armando Chacón, Dubfire, Sasha, Paul Ritch (live), Uner, Remo, Marc Maya, Danny Fernández, Enric Ricone, Dan Othran and Garz. With more details still to be announced, tickets for the event, which runs from 11am until 12-midnight, can be purchased HERE.